In addition, this course provides a thorough overview of the product owner’s role within a scrum team for maximizing product business value. • Reduces project risk through rapid iterations of development that inform opportunity assessments. When this course has been completed, attendees will have gained in-depth practical knowledge of the scrum system and its benefits and the product owner role. This course assumes basic understanding of agile development. Attending our Certified Scrum Master or Agile Essentials class prior to this course is recommended, but not necessary. Platinum Edge provides one of the best training programs in the industry. We have so much confidence that you will be satisfied with our training that we offer a 100% money back guarantee. If by the end of the course you are not satisfied, you will receive a full refund of the registration fee. 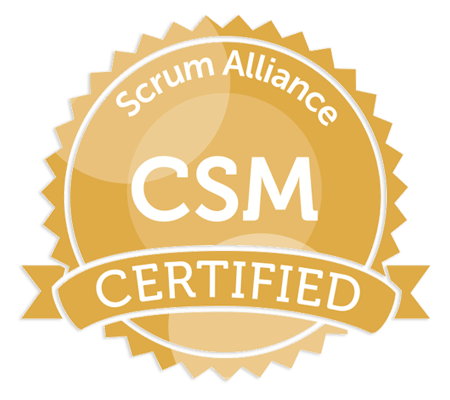 CSPO is a registered trademark of Scrum Alliance, Inc.